CARtarsis is based on the relaxing properties attributed to the purrs vibrations emitted by cats. Modern science recently acknowledges the healing powers of the cats' purr: " indicating that optimal frequency for bone stimulation is 50 hertz. The dominant and fundamental frequency for three species of cats' purr is exactly 25 to 50 hertz known as the best frequencies for bone growth and fracture healing. The cat's purr falls well within the 20-50 hertz anabolic range, and extends up to 140 hertz. 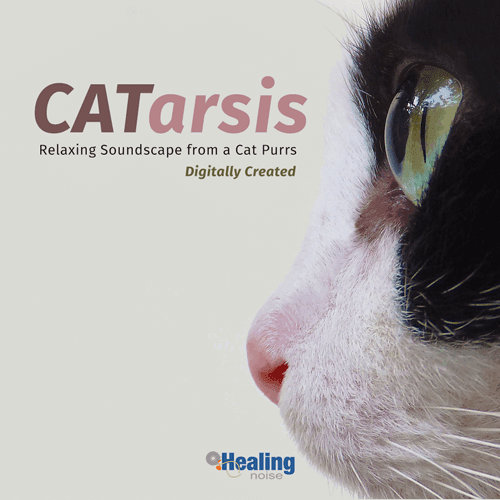 CATarsis is a digital rendition of those cited frequencies maintaining the same healing properties accredited to our four legged friends. This product requires some specific application conditions in order to deliver its full benefits. CATarsis is a highly specialized product which requires an audio system capable of reproducing sound from a least 50 HZ. Most home based systems can deliver audible frequencies between 20 to 20,000 Hz, which is well suited for the audio reproduction of CATarsis. Some portable Audio System (Boomboxes) have also the capability of reproducing sound at a ranged required for CATarsis to deliver its healing power. The use of headphones is not recommended.